This book aims to reach an understanding of how the mind carries out three sorts of thinking -- deduction, induction, and creation -- to consider what goes right and what goes wrong, and to explore computational models of these sorts of thinking. 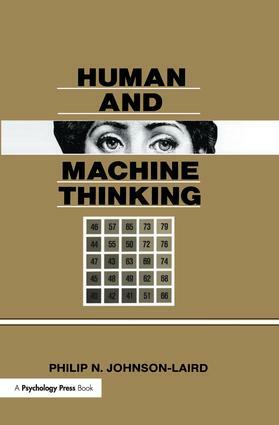 Written for students of the mind -- psychologists, computer scientists, philosophers, linguists, and other cognitive scientists -- it also provides general readers with a self-contained account of human and machine thinking. The author presents his point of view, rather than a review, as simply as possible so that no technical background is required. Like the field of research itself, it calls for hard thinking about thinking.